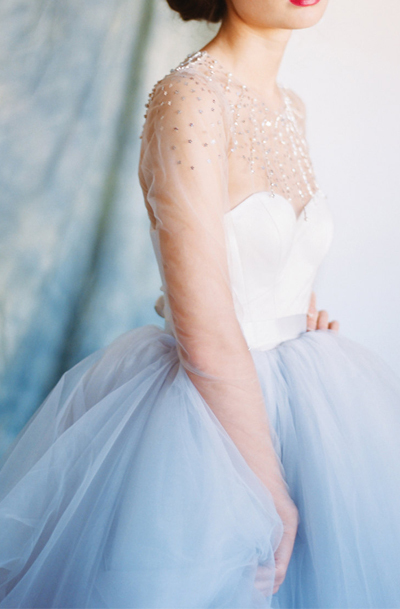 This fairy tale wedding gown is fit for a star princess. It’s skirt is made using two colors of tulle – sky blue and light grey – to achieve original multidimensional shade. The skirt is extra full as well but thanks to complex draping techniques still very airy and light.